These little fellas are Wrist Doodles and there are a total of 10 to collect including 2 rare ones. You can wear them on your wrist or hide the band to display them proudly in the included display box. 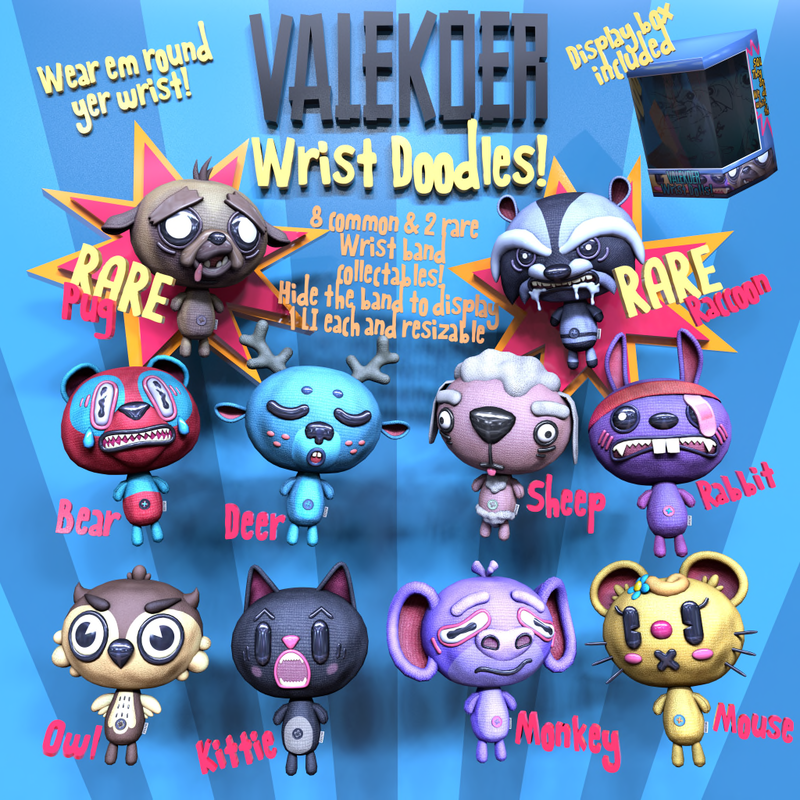 The Vale Koer Wrist Doodles are available at The Arcade. Let the Christmas mayhem begin.